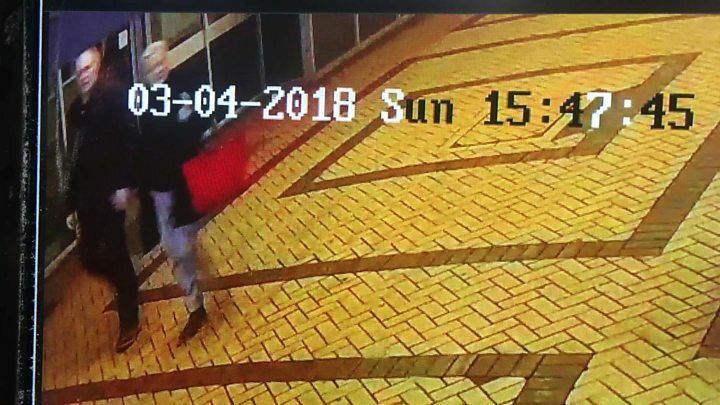 Skripal: Jumping to Soviet Conclusions? I have many times pointed to the way in which high profile 'terrorist' events are shot through with anomalies and contradictions that undermine the official narrative. Weirdly they almost invariably support an official narrative slavishly and uncritically promulgated by western main stream media (MSM). Since the events of 9/11 this has been predominantly to demonise 'Muslim Extremism", in support of Western - for which read USA, Europe and Israel - policy in Afghanistan, Iraq, Libya and Syria, to name but four territories affected and in which countless thousands have died, whilst totally ignoring Western complicity in their creation and support. https://ichef.bbci.co.uk/images/ic/720x405/p0607dvw.jpg Clearly edited to enlarge and give greater prominence to the time/date stamp. When I first saw this image the forth digit was much smaller and appeared to be a 1! In later versions from which this still the figures are much larger and clearly show a 4. Government has subsequently confirmed it was taken only half an hour before the two fell ill together. It is therefore not altogether surprising, given the fact that Russia has effectively been the only country to frustrate this 'grand plan', it has now become the target of Western opprobrium, based upon alleged Soviet interference, aggression and terrorism, the latest being the chemical poisoning of Skripal and his daughter in Salisbury. The wider context of 'terrorism' and its objectives should never be excluded from consideration, or the fact that it regularly involves deep duplicity and misrepresentation to achieve its ends. Russo-phobia and hysteria generated by Western powers? Putin and the Russian State have been subject to sustained attack and vilification ever since they have demonstrated the independent audacity to frustrate US policy in the Ukraine and Syria, not to mention Turkey and Iran. Of course this is not to infer they are paragons of virtue or incapable of the brutal acts to which they are accused, merely that to jump to conclusions before hard evidence is collated and other possibilities ruled out, is not only inept, it is highly suspicious and suggestive of a foregone conclusion to which all 'facts' will be made to fit. Is that what we are witnessing in the Skribal case? Is Russia justified in regarding the West as a threat? It is well known that there are some in the Western military/industrial complex that have actually promoted a military confrontation with Russia as 'winnable' and all recent NATO activity can only be viewed in that light. Both the new and inexperienced British Minister of Defence and the head of the British military have recently declared, we must now view Russia as our biggest war enemy and threat. Clearly Russia would be naive not to regard all these statements, media propaganda and military preparations, which it has labelled "anti-Russian hysteria", as other than a threat to it. Already there has been direct military confrontation and loss of life between it or its allies and Western or Israeli elements. We must ask ourselves if, as with the wholly fraudulent Al Qaeda/ISIS episode, 'terrorist events' are being used as a propaganda tool, to make public opinion more amenable to greater military involvement and conflict with the Russian State and others - principally Iran? But - and it is a BIG 'but' - 'terrorist events' can be used for another purpose, namely to distract attention from other events that happen elsewhere. I have listed examples before, so I do not propose to do so again, but what keeps recurring with quite suspicious regularity, is that the events themselves show clear involvement of Israeli assets or agents; benefit a specific Israeli policy; or distract attention away from an Israeli operation or aggression. So it was with a certain sense of deja vous that I learnt only nine (9) days following the Skripal incident, when throughout the Western media it was the main story, an assassination attempt was made on the Palestinian political leadership, most likely by Israeli agents. Did you see this attempted assassination reported in the media, let alone in front page headlines? Of course not, because Israel is our 'friend and ally', and we are not in the habit of pointing the finger of suspicion at them. Russia is fair game even in the absence of proof. Israel is above criticism even where dirty tricks, involvement in terrorism, murder or assassination is proved. This imbalance in Government outrage and response speaks for itself. The following report comes from Aljazeera. The hand of Israel is not being ruled out as Hamas announces an inquiry into an explosion that targeted the convoy of the West Bank-based Palestinian prime minister during a visit to the Gaza Strip. 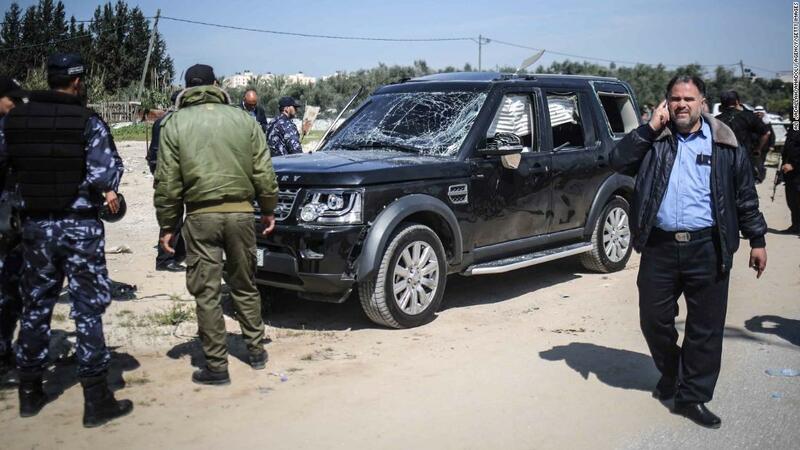 Tuesday's blast injured several security guards of Rami Hamdallah (and the head of intelligence, Majed Faraj) but left him unharmed during a visit to the Hamas-run territory to open a public-works facility there. The explosion happened shortly after Hamdallah's convoy passed through the Israeli-controlled Erez checkpoint, known to Palestinians as Beit Hanoun, in northern Gaza, an Al Jazeera correspondent at the scene reported. "Palestinian Prime Minister Rami Hamdallah has escaped unharmed after an explosion targeted his convoy in Gaza. No group has said it carried out the attack, which injured several guards. The Palestinian Authority said it was an assassination attempt and that it held the militant Hamas movement, which dominates Gaza, responsible." Rather significantly, no trace of the story appears on either the 'Home' or 'World' main Internet pages today (14.3.2018). It has already been buried and forgotten whilst the Skripal story still dominates both. So if a planned attempt on the life of the Palestinian leaders was part of the rationale for a covert poisoning operation on Skripal, to deflect from the former, whilst increasing antipathy towards Israel's enemy Russia, for all intents and purposes, it certainly worked. Gouta - but where did the chlorine (?) gas come from? 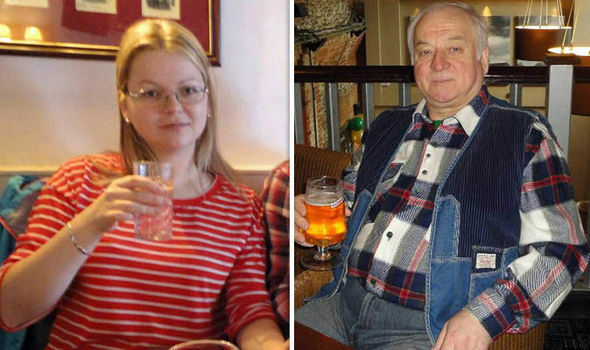 Who benefits from the Skripal attack? So returning to the old question of cui bono or 'who benefits', in assessing possible perpetrators of a criminal event, we would have to conclude it benefits Russia nothing - in fact quite the opposite - but benefits Israel quite a lot. Russia stands in the way of its military intentions in Lebanon and Syria, where another invasion with American support is on the cards; it drives a wedge between Russia and Europe which would help if Israel and Russian forces engage; it paints Russia as the sole "rogue state" in respect of assassination, helpfully obscuring the fact that Israel is both in law and action the world's primary "Rogue State". Even a brief Internet search reveals that during the decade 2000 - 2010, excluding its involvement in the events of 9/11, Israel was responsible for no less than 256 targeted assassination attempts, most being successful. I doubt any other nation could compete with this tally. 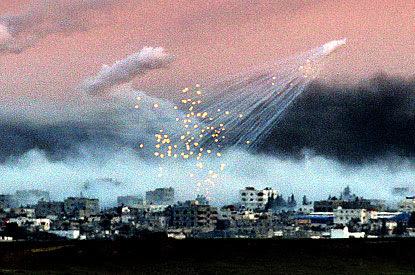 According to the US Congress Office of Technology Assessment, Israel in addition to its nuclear capacity (over 300 bombs) has an undeclared chemical warfare capability, and an offensive biological warfare program. We do not therefore need to prove Israel's capacity or preparedness to assassinate at home or abroad or to engage in 'false flag' terrorism. Yet strangely this predilection or possibility is never conceded or entertained. It is rather akin on discovery of the latest victim, ignoring the profile of a known mass murderer in the neighbourhood! No country is free of the charge that is prepared to kill to protect or pursue its interests. This applies as much to Britain as any other. In war Churchill masterminded mass killing of innocent civilians both by bomb and bullet to achieve victory. The means justified the ends the country believed. However outside of direct warfare there is much evidence to support the view that assassination has been employed either directly or indirectly whilst maintaining a certain moral superiority about such things, most recently demonstrated in the complicity in the American programme of 'extraordinary rendition' and systematic torture. More specifically recently the philosophy of assassination has been embedded and enunciated in the British Government policy! For example (just two examples will have to do for now, but it is the principle that is important here) in 2015 David Cameron sanctioned and defended the targeting and death of two British citizens in Syria, which breached both international law, in that it was over territory of a sovereign state, with which war had not been declared, and domestic law, because killing without due process must always be classified as 'murder', whomsoever does it. "The target of the RAF drone attack was Reyaad Khan, a 21-year-old from Cardiff who had featured in a prominent Isis recruiting video last year. Two other Isis fighters were killed in the attack on the Syrian city of Raqqa on 21 August. One of them, Ruhul Amin, 26, was also British. "Cameron justified the killing in the sovereign territory of another country on the basis that Khan represented a specific threat to UK security, and that he had exercised the country’s “inherent right to self-protection”. He said the strike was not part of the coalition’s general fight against Isis in Syria. “It was necessary and proportionate for the individual self-defence of the UK,” Cameron said on Monday. "A third Briton, Junaid Hussain, 21, was killed by a separate US airstrike, he confirmed." Even domestically there are worrying signs that recent British governments have adopted an intentional "shoot to kill" policy by law enforcement officers, even where no direct threat to them was evident. This was the stated policy again by David Cameron (I think he euphemistically termed it "Getting tough with criminals") and was evidenced by what appears to be unjustified killings rather than arrest, of alleged criminals on British streets described elsewhere on this blog. So we must conclude that both at home and abroad, Britain itself has embraced a new philosophy and policy that assassination is OK in certain circumstances. The issue then becomes what are the justifiable circumstances for State assassination rather than a blanket condemnation. It also makes Mrs May's spirited and principled rhetoric rather less convincing, suffused as it is by hypocrisy and cant. In the current climate although we can all condemn the poison attack, for the British government to claim either moral superiority or that Russia is the only potential perpetrator really will not work. The British Prime Minister has now made two statements to the House of Comments regarding the Skripal affair. The first was on the 12th March when an 'ultimatum' was issued to Russia to provide an explanation; the second was today (Wed 14th March, 2018) when certain measures, including the expulsion of 23 Russian diplomats, were announced. The flaws evident in the first were perpetuated in the second. What were these? Perhaps the biggest and most obvious weakness in her reasoning was to make only two options available: either this was proof of direct action by the Russian secret state or Russia had lost control of military grade poison. These are logical failings so obvious that all the opinions and actions predicated on them are tenuous in the extreme. First, for Porton Down to identify the material so quickly and precisely certainly suggests not only it could fingerprint it chemically using almost certainly techniques of Gas Chromatography Mass spectrometry, it would still need to be aware of and probably possess samples of the original for comparative purposes to state definitively what it was. Very strangely ‘Novichok’, despite being described as being more potent than either sarin and VX, is not on the The Organization for the Prohibition of Chemical Weapons (OPCW) comprehensive list of weapons-grade chemicals. This is more than surprising if it is so dangerous and well known. Very conveniently it even sounds Russian. State Secrets: An Insider's Chronicle of the Russian Chemical Weapons Program Paperback – 22 Dec 2008 that can be obtained in in paperback for less than £21. State Secrets: An Insider's Chronicle of the Russian Chemical Weapons Program An unparallelled deception took place in the 1980s, while U.S.S.R. President Mikhail Gorbachev was negotiating for the Chemical Weapons Convention. This treaty was supposed to destroy chemical weapons of the world and ban new ones. 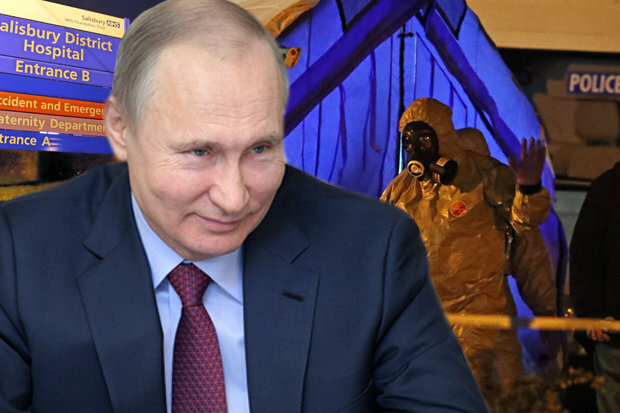 The Moscow institute that developed chemical weapons at that same time was secretly developing newer and greatly more toxic ones known anecdotally as “Novichok” and new binaries. Dr. Vil Mirzayanov, a scientist there, was responsible for developing methods of detecting extremely minute traces in the environment surrounding the institute. He decided this dangerous hypocrisy was not tolerable, and he became the first whistle blower to reveal the Russian chemical weapons program to the world. 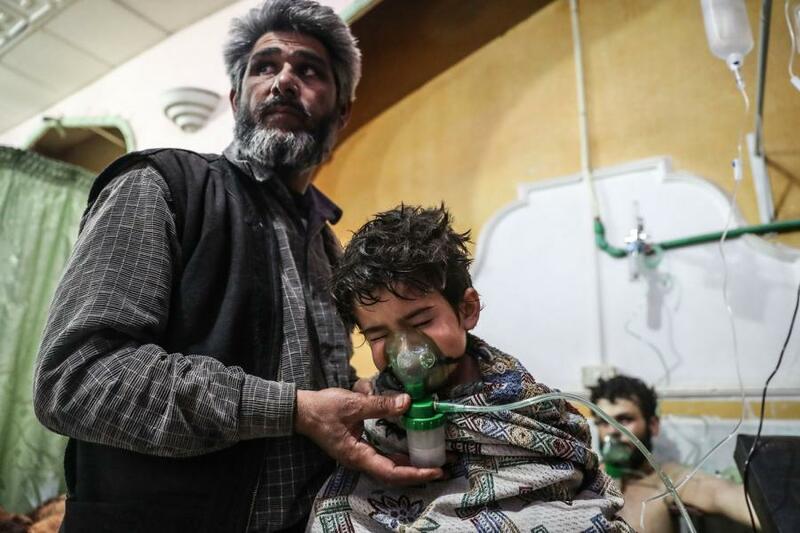 His book, State Secrets, takes a startling detailed look at the inside workings of the Russian chemical weapons program, and it tells how the Russians set up a new program in Syria. Mirzayanov's book provides a shocking, up-close examination of Russia's military and political complex and its extraordinary efforts to hide dangerous weapons from the world. State Secrets should serve as a chilling cautionary tale for the world over. If this is available to the general public you can be sure Porton Down and other state labs around the world are very aware of it and how to make it. To claim that its application in Salisbury could only come from Russia makes Mrs May appear a fool. If so, Mrs May's argument that it could only be Russia is immediately disproved by our own possession of the material and of course if we could have it, it is almost certain that America and Israel - to name but two - would have access to it as well, not to mention - though less likely - rogue criminal elements. Nor should we forget that both the above in relatively recent times, used such either admittedly, clandestinely or supplied such in the context of blame others for its use. We live in an age of international intrigue, deceit and subterfuge (was it not ever so?) in which nations are prepared to kill and lie to advance what they perceive as their national objectives. Such has been the intensity of the anti-Russian campaign and of Western duplicity and dissimulation over issues of terrorism, any incident that is immediately blamed on the Russians, before even a shred of evidence has been gathered, needs to be treated with the greatest degree of wariness. Russia may have been responsible but if in fact the Skripals were poisoned, to claim that the Russian could be the only culprits is clearly fatuous. In fact there are other countries that may have as good a case to answer, if not better. In the early 1990s Skripal was recruited by an MI6 agent Pablo Miller, whom the British media declined to name. Miller was an MI6 agent in Tallinn, the capital of Estonia. Miller’s main task was recruiting Russians to provide information about their country to the British. An interesting fact, possibly coincidental, was that the MI6 officer under diplomatic cover in Moscow at this time was Christopher Steele. Steele was later to become better known as the principal author of the infamous Trump dossier. This is where the facts become thinner, but the interesting connections of Skripal offer scope for some tentative hypotheses. Whilst living in Salisbury, Skripal became friendly, according to a report in the conservative UK newspaper the Daily Telegraph (www.thetelegraph.co.uk 7 March 2018) with none other then the aforementioned Pablo Miller (whom the Telegraph declined to name) but who has since been identified on the web (www.meduza.io 6 March 2018). Miller is now working with a British security consultancy named Orbis Business Intelligence. Again according to the Telegraph, Miller’s association with this company has now been removed from Millers Linked In profile. Orbis is the same private intelligence agency as that of Christopher Steele. It seems more then a mere coincidence that the same three men who had personal and professional links going back to the 1990s should have a continuing association at the same time as the Steele dossier was being compiled and later as the so-called Russiagate inquiry was imploding. For further analysis on this point see www.turcopolier.typepad.com 14 February 2018; and Philip Giraldi Russiagate Narrative Undercut by Nunes Memo. www.consortiumnews.com 9 February 2018. The former FBI Director James Comey described the Steele dossier as “salacious and unverified” in giving evidence to a Senate hearing. The former British ambassador Craig Murray has suggested on his blog a motive (www.craigmurray.org.uk 8 March 2018) for the attempted murder of Skripal and his daughter was to further promote the anti-Russian hysteria that inflicts the western media and the body politic. That is certainly possible, and it has certainly been one of the consequences, as the abysmal coverage of the ABC among other outlets makes clear. But an alternative hypothesis presents itself in the light of the above facts, and this hypothesis has not even been mentioned, let alone discussed by our major media. My admittedly speculative hypothesis, but I would argue, not an unreasonable one, is that Skripal was very likely involved in the production of the Steele dossier. He was therefore in a position to offer potentially very damaging information into the circumstances of the Steele dossier. As noted above, that particular narrative has not only spectacularly collapsed, but the revelations reflect very badly on, among others, the US Intelligence Community, the FBI, the Democratic National Committee, the Obama White House and the Clinton campaign. The Skripals were contaminated in their HOME apparently! If as is claimed by George Galloway, presumably on reliable intelligence, that contamination occured at, and not later than, their occupation of their home address, it is clear that there was significant time delay between exposure and physiological symptoms and signs developing. In other words at least the time between them occupying their house being descovered on the park bench. If the released video, given considerable publicity by news outlets, can be believed, they were perfectly healthy and unaffected at 4.47 pm less than half an hour before they were spotted in a semi-comatose condition. Now given the fact that one of the characteristics of 'Novichok 5 and 7' is they 'act very quickly', some explanation for the delayed response should be provided, either chemical or technological. However the fact that traces of the substance were apparently located at the residence and other properties, presumably carried there by the Skripals, as a result of general contamination of their clothing, an explanation for the delayed effect seems even harder to explain. 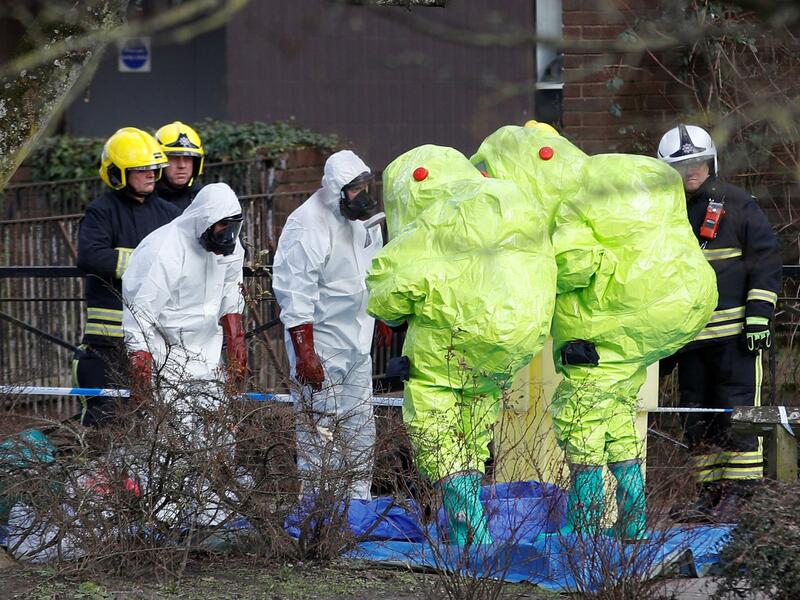 In connection with the vicious attacks launched by British officials in London, as well as the statement by the head of the British delegation to the OPCW with regard to Russia concerning the suspicious story of two persons poisoned with a toxic agent in Salisbury, we would like to state the following. The British authorities’ unfounded accusations of Russia’s alleged involvement in using poisonous agents on their territory are absolutely unacceptable. Our British colleagues should recall that Russia and the United Kingdom are members of the OPCW which is one of the most successful and effective disarmament and non-proliferation mechanisms. We call upon them to abandon the language of ultimatums and threats and return to the legal framework of the chemical convention, which makes it possible to resolve this kind of situation. If London does have serious reasons to suspect Russia of violating the CWC - and the statement read by distinguished Ambassador Peter Wilson indicates directly that this is so - we suggest that Britain immediately avail itself of the procedures provided for by paragraph 2 of Article 9 of the CWC. They make it possible, on a bilateral basis, to officially contact us for clarifications regarding any issues that raise doubts or concerns. We would also like to emphasise that such clarifications under the Convention are provided to the requesting member state as soon as possible, but in any case no later than 10 days following receipt of the request. As such, the ultimatum’s demand that information be provided immediately, by the end of today, is absolutely unacceptable. Our British colleagues should save their propaganda fervour and slogans for their unenlightened domestic audience, where perhaps they will have some effect. Here, within the walls of a specialised international organisation, such as the OPCW, one must use facts and nothing but the facts. Stop fomenting hysteria, go ahead and officially formalise your request to begin consultations with us in order to clarify the situation. A fair warning, we will require material evidence of the alleged Russian trace in this high-profile case. Britain’s allegations that they have everything, and their world-famous scientists have irrefutable data, but they will not give us anything, will not be taken into account. 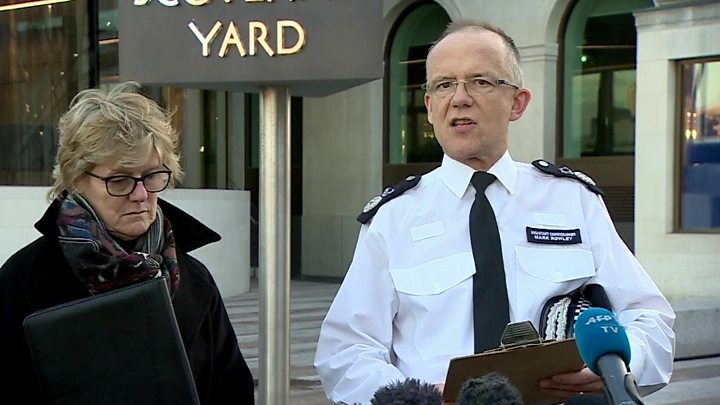 For us, this will mean that London has nothing substantial to show, and all its loud accusations are nothing but fiction and another instance of the dirty information war being waged on Russia. Sooner or later, they will have to be held accountable for their lies. We ask you to circulate this statement as an official document of the 87th session of the OPCW's Executive Council and post it on the Organisation’s external server. What do leaders and peoples of the few independent and sovereign countries think when they see a signed condemnation of Russia for poisoning a long-retired UK double-agent without a scrap of evidence by the political heads of the four major Western countries? What do the Chinese think? The Iranians? The Indians? We know that the Russians are beginning to think that they are being set up by demonization for invasion, as was Saddam Hussein, Gaddafi, Assad, Yemen, and the attempt on Iran. It is finally dawning on Russia that all these accusations are not some kind of mistake that diplomacy can straighten out, but, instead, the setting up of Russia for military attack."